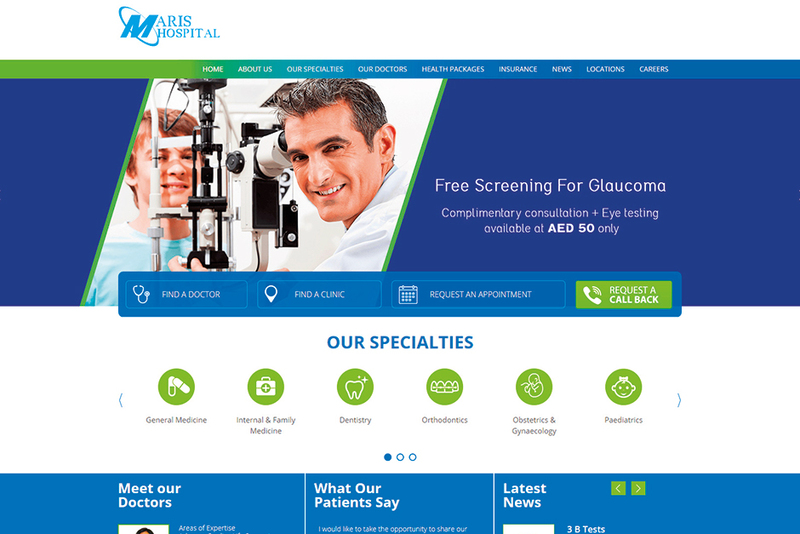 Dubai: At first blush, and even at second, Maris Hospital ticks all the right boxes: multi-specialty clinics across key locations in Dubai, state-of-the art facilities, glowing patient testimonials, tie-ups with leading insurance providers and a team of highly skilled doctors. On its website, the hospital says its corporate philosophy is centred around empathy, care and warmth, and its mission is to ‘imbibe the best practices in constantly enhancing the community’. Which you’d probably think explains why its offering such heavily discounted rates on a range of vaccines and medical diagnostic tests. However, there is a problem. There is no Maris Hospital in Dubai or anywhere in the world. The only place this bogus hospital exists is the internet. Its elaborate website – a brazen cut-copy-paste job - has been created for just one specific purpose – to dupe unsuspecting jobseekers based abroad. In recent days, the non-existent hospital has shot off scores, possibly hundreds of fake appointment letters to job aspirants worldwide, offering them incredible salaries and a slew of attractive perks including monthly entertainment and recreation allowances. For instance, a Filipino with hardly any experience has been offered Dh35,000 monthly plus perks for an administrative coordinator’s job while a Brazilian has been promised a solution architect position at a basic salary of Dh36,500, besides Dh12,462 annually towards furnishings and Dh1,000 weekly for pocket money. Other perks include free accommodation and a raft of monthly handouts including Dh1,000 for car maintenance, Dh2,789 for entertainment and recreation and Dh2,500 for travel. Of course, to clinch these dream jobs, candidates have to remit $1,290 (Dh4,730) to a purported travel firm’s bank account so that their visa and employment papers could be processed and they could start work by June 10. The appointment letters which bear forged stamps of the ministry of interior, assure candidates that all expenses made towards visa and work permit costs will be reimbursed once they land in the UAE. If previous scams modelled on similar lines are anything to go by, the candidates will never hear from the hospital or the travel firm once they have made the bank transfer. An Indian pharmacist in New Delhi said he almost fell for the scam when he got an email from Maris saying they will give him a salary of Dh37,000 plus another Dh10,000 in allowances. “Initially I thought it was for real but when I looked up on the internet and found several XPRESS reports about similar rackets I realised it was a scam,” said the man. Brazilian Weverton de Souza Castanho who has been offered a solution architect position reckons the scam artists picked his email from a job hunting website he’s registered with. To gain his trust and lend themselves credibility, the fraudsters laced their correspondence with HR jargon. Sample this extract from an email sent to Castanho by a man claiming to be Maris Hospital’s HR manager. “You are expected to furnish us with your Valid UAE work permit visa / necessary relevant documents before 10 working days to enable us book your flight ticket. Castanho said he grew suspicious as he was offered a high-paying job without even an interview. “No relevant questions pertaining to my role were asked neither was I told to appear for a test which is standard recruiting practice. The other giveaways were the incredible salary, free apartment and free schooling for children,” he said. 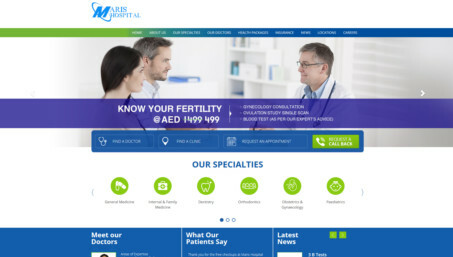 Investigations made by XPRESS show that the bogus Maris Hospital website was created barely one month ago and all its content and pictures are stolen from Dubai-based iCARE clinics. Following an XPRESS alert, iCARE put up a disclaimer on its website saying that a certain hospital is violating their copyrights and using its name unlawfully. “We’ve reported the matter to authorities,” said a staff of iCare Clinics. Fraudulent job offers are rampant in the UAE. Of late, conmen have used the names of entities both real and fictitious to lure jobseekers. Etihad, Emirates, Adnoc, ADEC, Cleveland Clinic Abu Dhabi, Awazen Hospital, and New York University Abu Dhabi are among several UAE-based establishments in whose names fake offer letters have been sent worldwide. Last month, the scammers created a fake website (thmby-ae.com in the name of UAE’s based Thumbay hospital (thumbayhospital.com), prompting Thumbay to report the matter to the police and issue an alert. Often the charade is so convincing that even the most diligent jobseeker falls for it. One such victim is Mumbai-based Indian S. Mathur who lost Dh4,400 after applying for a teaching job in the fictitious Edison World School with a purported Abu Dhabi address. “I looked up their website and was impressed. So I applied online. The following day I got an email asking me to contact a travel firm to process my documents visa. They asked me to pay $1,200 upfront. I was assured I would be reimbursed when I land in the UAE so I sent the money. Later I found out that it was a ploy to dupe me,” she rued. According to UAE labour laws, it is illegal for recruitment agents and companies to charge job candidates and employees any fees for any part of the recruitment process or residence visa and work permit application. Have you or any one you know been a victim of a job scam?